Shantanu Bhamare is a Project Management Professional (PMP®) & Leadership Institute Master Class (LIMC®) certified from Project Management Institute (PMI), Pennsylvania, USA . He is a BE Computers Science from Pune University. He has also done Post Graduate Diploma In Advanced Computing from CDAC, Pune, Mobile Computing from the Indian Institute of Technology (IIT), Bombay & MBA in IT & Finance. 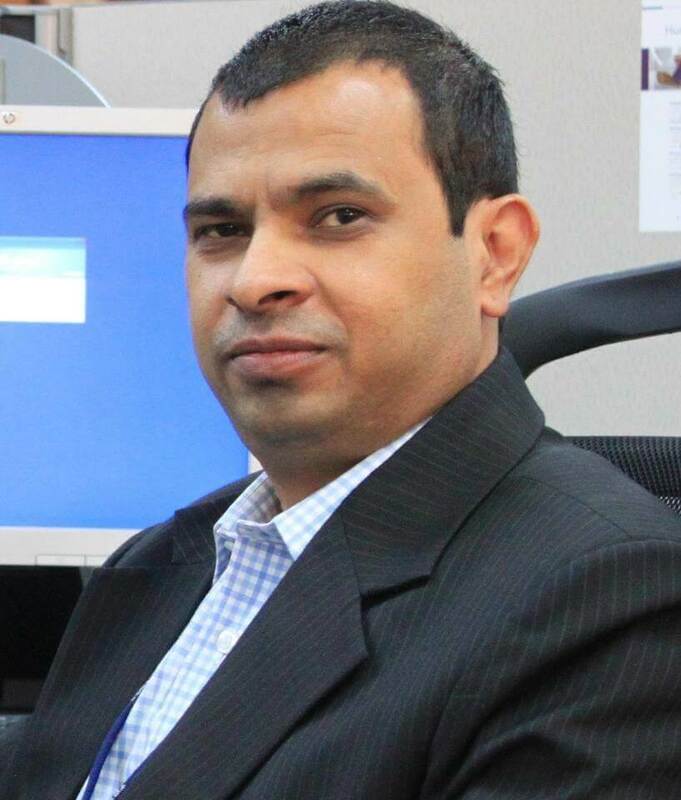 He has professional experience in the IT industry on software projects enabling a wide variety of domains such as eCommerce, Telecom, Business Intelligence (BI), Social, Mobility, Analytics & Cloud (SMAC), CRM, Finance (Capital Market, Retail Market, Online Channel, Wealth Mgt), Retail, Hospitality, Oil & Gas / Energy, Manufacturing, and New Product Development. He has been Delivery Manager for series of Programs, working for three different continents, projects with diverse work cultures, projects executed remotely and different organizational models with leading teams in the range of 600+ people directly with $78 million contract(s) with Profit & Loss (P&L) responsibility. He is currently working with Hewlett Packard Enterprise (HPE) as a Director (Communications & Media Solutions). He joined HPE from netCORE Solutions where he was working as a Chief Information Officer (CIO). He is an ex-IBMer, he was working with IBM as a Deputy General Manager for 6 years. Varied onsite, offsite and offshore experience for domestic and international clients like CMD (USA), TGG (USA), Reliance Jio Infocomm (India), Macys (USA), Kohls (USA), Department Of Work & Pension (UK), TD Canada Trust (Canada), Deutsche Bank (Philippines), Globe Telecom(Philippines), Vodafone Essar (India), PSS Medical Inc. (USA), British Telecom (UK), GE Health Care (USA), Abbott (USA), MCI (UK), Accenture (USA), SalesTech (USA), Dell (USA), Cisco (USA), Fujitsu(USA), IOCL(India), etc. He is an International Award Winner “Volunteer Leader Of The Year 2008-Asia Pacific Region” given by Project Management Institute (PMI) USA. He got recognized at Leadership Meeting in Denver, CO, USA in October 2008 for his Outstanding commitment and Leadership. He is Awarded with Shivsena Samaj Bhushan (Social Icon) Puraskar (Award) for his significant contribution in Sports, Social & Cultural Work. He is Awarded with Rajshree Shahu Samaj Ratana (Social Diamond) Puraskar (Award) at 7th Akhil Bhartiya Nivedit Marathi Sahitya Sammelan May 2010 for his significant contribution in Information Technology, Education & Social Work. He is awarded with Best President by Giants International (Social organization) for his group Giants Group of Pune Metro for which he is a Founder and President. He has got Co-inventor Patent on Selectica Pricer Product, filed in USA, while working with Selectica Inc. USA. He got appointed as Vice President of Project Management Institute (PMI) Pune Chapter which is affiliated to Project Management Institute (PMI), USA in 2008. Project Management Institute (PMI) USA selected him to be a part of Content Contributors & Content Reviewers on the teams to update and rewrite PMI’s most influential global standard: A Guide to the Project Management Body of Knowledge (PMBOK® Guide) —Fourth Edition. It’s an American National Standard ANSI/PMI 99-001-2004. This book is read all over the world as it is mandatory book to give Certified Associate in Project Management (CAPM) & Project Management Professional (PMP) exams. It’s is already published in December 2008 & Project Manager Competency Development Framework (PMCD) – Third Edition. PMI selected as part of Region 11 Best Practices Task-Force (RBPT). RBPT members provide support to Region 11 Mentor to provide advice, guidance and leadership to PMI chapter leaders to develop their leadership capabilities and ensure member value delivery to build strong local chapters. RBPT supports Region 11 Mentor to act as a resource with PMI staff regarding policies and procedures that enable chapters’ operational success. RBPT builds a digital repository of the best practices of the region for use by members of the region. He was Chief Guest in no of Management colleges like International Institute of Information Technology (I2IT), MIT School of Management (MITSOM) & Department of Management Sciences (PUMBA), Symbiosis Centre for Information Technology (SCIT), Indian Institute of Business Management (IIBM), International School Of Business Management & Media (ISB&M), Foresight Group Of Institutes, Sinhgad Institute of Management, etc. Project Management Institute (PMI) USA selected him as a Global Speaker, he has been speaking worldwide in different PMI Global Congresses & Leadership Institute Meetings. Article on “Managing Troubled Projects Effectively” published in PMI Karachi Chapter PM-Wire Newsletter Aug-Oct 2012 as a featured article and in many other PMI Chapters Newsletter. Article on “Managing A Multi-location Team” published in On Target 2008 International Conference On Project Management’s souvenir, This article was published as a featured article in PMI Asia Pacific eLink Newsletter in February 2009, PMI Baltimore Chapter Newsletter in July 2012, Atyaasaa- Knowledge Beans (published twice on demand by the readers) & in many MBA colleges newsletters. Interviewed by Japan’s famous magazine Nikke on Differences between PMBOK 4th Edition Vs PMBOK 3rd edition. Interviewed by Mid-Day Newspaper on concept of “Finishing Schools” and how to make students more deployable in the Industry. Interviewed by Times Of India’s Pune Mirror Newspaper on concept of “Discrimination at the workplace”. Interviewed by Sakal Times Newspaper on “Retaining Power Sector”. Interviewed by The Golden Sparrow Newspaper on “Cloud Computing & It’s Future”. Playing Synthesizer, Listening to Music, Photography.